APS parents asked to take H.E.A.R.T. 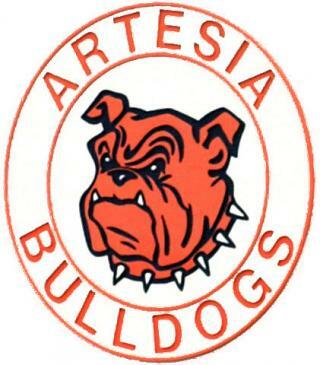 The Artesia Public Schools are urging staff and parents to take precautions regarding a recent influx of influenza and strep throat, particularly within the district’s five elementary schools. APS Superintendent Dr. Crit Caton recently provided recommendations from the Department of Health to principals, nurses, teachers and maintenance staff at the schools, and the APS has also been contacted by the Artesia General Hospital Infection Prevention Department regarding a recent spike in flu and strep throat cases seen at the hospital. • Frequent hand-washing and/or use of hand sanitizer. • Students with excessive coughing or fever should be sent to the nurse’s office in preparation for being sent home. Students should wear masks while waiting on their parents to collect them, and AGH is donating masks to the APS. • Custodians should disinfect all desks, doorknobs, water fountains, etc. APS custodians have been instructed to use the district’s hospital-grade disinfectant and leave it on surfaces for 30 seconds before wiping away. The maintenance crew is also utilizing an ionic machine for additional disinfection of hallways. • The DOH also encourages receiving the flu vaccine. Interested persons may contact the local health office at 746-9819. Caton says the APS have also been following guidance from the DOH’s “New Mexico School Health Manual” in regard to case management of strep and flu, and that information has also been forwarded to principals and nurses to provide to parents and guardians. • Suspected cases of strep should be referred immediately for medical evaluation. Referral is urgent if symptoms include high fever, marked toxicity, or respiratory distress. School exclusion is recommended until at least 24 hours after antibiotic treatment is initiated. • Suspected cases of flu should also be sent home. Fluids are important to maintain hydration. Bed rest and non-aspirin analgesics may help symptomatically. Influenza cough may persist for weeks and may require some limitation of activity, especially for those with asthma. Students should not return to school until they have been afebrile (temperatures under 100 degrees) for 24 hours and anti-pyretic and systemic symptoms have subsided (usually three to seven days). Caton additionally urges parents who suspect their children may be ill to take them to a healthcare professional and keep them at home until their case management is complete in order to prevent the further spread of illness.